Enrique Tomás' Book of The Jamón Experience has been a great success and for this reason, we have decided to create a second edible book so that you can continue learning the theory and practice of jamón. 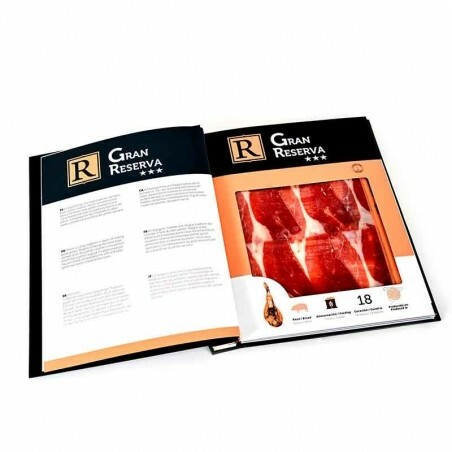 In this opportunity, the Book of the Jamón Experience has the three qualities of the ham par excellence: Gran Reserva, Cebo de Campo and Pata Negra or Bellota 100% Iberian. 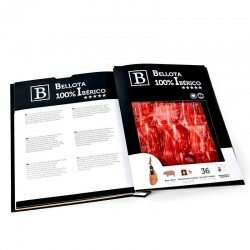 Now you will be able to savour these three types of product and, in addition, you will be able to read all the information on the matter and you will have a tasting note that will help you to distinguish the nuances of flavor of each one. The book is written in: Catalan, Spanish, English, French, German, Italian, Russian and Chinese. 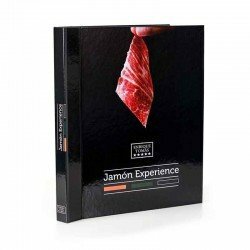 What is jamón and how is it made? A ham is the result of curing the back leg of a pig in salt. 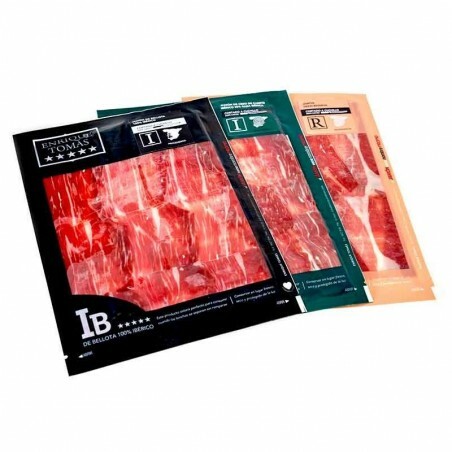 Depending on the type of pig and its diet, the months of curing vary substantially and its taste will also vary. Due to the great quantity of meat in the same ham we will find different flavours: the maza is the softest part, the contramaza the tastiest and as we get closer to the bone we find more intensity. Once we have the pig's leg ready, the first thing we have to do is prepare it for salting. The cook makes a v-shaped cut on the pork rind and decides how much external fat he wants to leave. The more fat it has, the less salt it will absorb and the sweeter it will be. Once the previous operation has been carried out, the leg is buried in salt for an average of two weeks. If the cook decides to extend this period, the ham will be tastier. 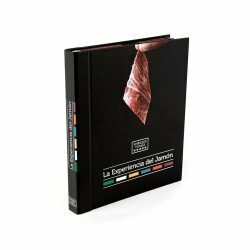 From that moment on, depending on the type of ham we are going to make, the characteristics of the leg and the flavour we are trying to obtain, the leg will be hung in the dryer until it is optimal for consumption. 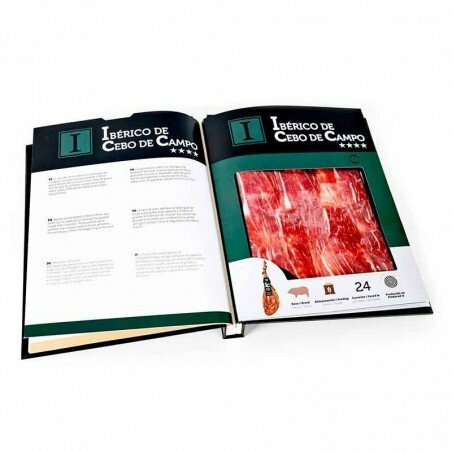 In Enrique Tomás we want that the ham is not missing in your house and for that reason we put to your disposition a whole range of Iberian products in the most comfortable and practical formats that you will be able to find in the market. 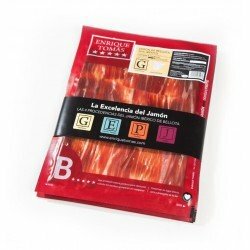 Vacuum-packed sachets: envelopes with 80 grams of the best Iberian products. The quantity is ideal for you to enjoy both ham and shoulder or sausages at their ideal point, without the fear of not eating it on time and dry. An unbeatable way to encourage you to try a product without having to buy large quantities. Packs: at Enrique Tomás we also offer the possibility of acquiring different savings packs and "don't cut yourself" packs in which you will not only find a way to save, but you will also have the security of having at home all the Iberian ham or shoulder you want in comfortable vacuum-packed envelopes to consume at your speed and whim.